New year, new blog, so why am I looking back on the past 12 months? Well, it’s been one hell of a year for beer. The UK is teeming with even more new breweries, producing even more exciting beer to satisfy the most demanding of beer geeks. New pubs and bars are springing up to satisfy the growing demand for ‘craft beer’, even though nobody is entirely sure what it it is. Whatever it is, it has certainly been very good. Here are my favourites of the last year. 2nd – Adnams Ghost Ship (cask): The hype about this beer made me skeptical, but after three consecutive pints I couldn’t think of a better cask beer I’d had this year. 3rd – St Austell Ruby Jack (cask): a red ale made with rye malt and buckets of hops, this is a rich, tasty beer that demands just one more pint. 1st – Oakham Ales Green Devil IPA (bottle): The absolute showstopper of 2012. I first tasted it at GBBF, where it absolutely blew me away. The bottled version is even crisper, fresher and juicier. The best IPA being made in Britain. 2nd – Moor Revival: Stunningly refreshing, bursting with clean, hoppy flavours and only 4%. Shaming to so many beers that are stronger and taste of so much less. 3rd – Fuller’s Black Cab Stout: It might not be 18% and infused with ginger, arctic berries and uranium, but this is the best bottle of stout I’ve had this year. Magic Rock Dark Arts is superior on cask, however. 1st – Mikkeller Texas Ranger: This chipotle-infused porter is classic Mikkeller – ambitious and cocksure, with enormous flavours precariously balanced by madness or design. Genuinely spicy and very moreish. 2nd – Flying Dog Wildeman Farmhouse IPA: If a trend develops for this delicious hybrid of saison and IPA, I will ride said trend to my destruction. The freshness of a saison coupled with the juicy bursts of citrus from American hops makes for something very special indeed. 3rd – Köstritzer Schwarzbier: A gorgeously crispy, none-more-black lager with loads of bittersweet roasted barley. 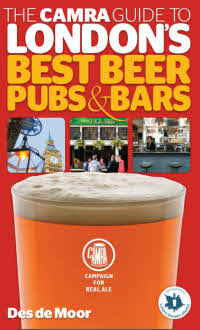 Served in a towering Irish-Coffee-style handled glass, in the Carpenters Arms in Shoreditch. 1st – Kona Brewing Co Koko Brown Ale (bottle): Normally, including coconut in something ensures I will avoid it or hate it, but this sublimely balanced and delicious brown ale is sheer quality, through and through. I discovered it in Kris Wines and found myself praying it would still be in stock every time I returned. 2nd – Rogue Brewing Co Dry Hopped St Rogue Red Ale (bottle): Hoppy red ale to the power of ten; a sort of star-spangled 5am Saint/Rapture style red ale that deserves its swagger. 3rd – Mikkeller 19 (bottle): boasting 19 hops, this was undoubtedly Mikkeller’s ‘Spruce Goose’, and proved that the line between genius and insanity is a fine one indeed. Green Devil IPA – A genuinely astonishing beer that needs your immediate attention. 1st – BrewDog and Flying Dog’s International Arms Race labels. I simply can’t choose between Ralph Steadman’s Gonzo Dogfight or Joanna Basford’s beautiful Battle Owl. 2nd – Camden Town Brewery’s rebranding is bold, stylish and makes fun of style purists. Very cool. 3rd – Magic Rock Brewing Co. Seriously, just look at them. There are simply far too many to choose from now, and almost every microbrewery in Britain has done something worthy of note this year. Having said that, three that have been consistently incredible this year are Magic Rock, Thornbridge and The Kernel. None of them have made a beer that wasn’t amazing. Mikkeller. You just can’t stop him. I’ve been to so many amazing pubs and bars this year that, in choosing the best, I have to think hard about the times I’ve had there, not just the beers. Again and again, I keep recalling wonderful afternoons, evenings and nights spent in BrewDog Camden, where I am always welcomed warmly by the staff, and drink wave after wave of marvellous beers. BrewDog seem to attract more hate with each passing month, but in the bar stakes, they are truly inspirational. They have the best staff, hands down, and every moment spent there is a pleasure. The Celtic Beer Festival at St Austell Brewery. As I blogged recently, this is an excellent and much livelier alternative to your average beer festival. 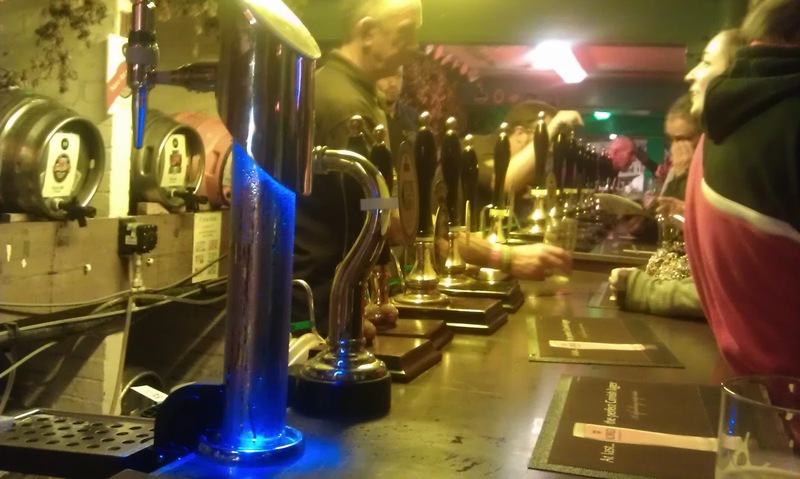 Over 150 beers, focusing on Cornish, Welsh, Scottish beer, but with plenty more from around the UK and across the world, all served in the St Austell Brewery cellars with live music, lively crowds and a great atmosphere. GBBF at Olympia was admittedly much better this year, and BrewDog’s Punk AGM was more beer festival than anything else, but the Celtic Beer Festival had a rowdy charm that really blew me away. I can’t wait to go back. I live not too far from a decent-sized Waitrose, and they have really impressed me with their selection. They regularly have deals on different bottles too. There was a week or two when Sierra Nevada Pale Ale, Torpedo and Goose Island IPA was on offer, and there was much rejoicing. It simply has to be the small but mighty Kris Wines. This bewilderingly well-stocked off-license is normally populated by men in their thirties, peering in studious wonder at the incredible range of beer from around the world on offer here (“Oh look,” you say turning to your left, “there’s all of Belgium”). The owner Kris is a friendly chap too, and always happy to help you find your looking for. I haven’t really used online beer retail that much this year. Having Theatre of Wine and Kris Wines relatively close to where I live means I do most of my browsing in a shop rather than online. Whilst BrewDog have improved over the last year, I can’t in all honesty say they are amazing. I’m going to have to abstain from this one. My winner would have to be Des de Moor’s London Beer and Pub Guide, which has served me very well this year, getting me out to the parts of London I wouldn’t normally explore, and has lots of history as a bonus. I’ve also just started reading Tim Webb and Stephen Beaumont’s World Atlas of Beer, which is excellent and incredibly detailed. Shakespeare’s Local by Pete Brown was also a great read, especially for social history buffs. This has to be a tie between the regularly mouth-watering The Good Stuff and the grey-cell-stimulating Boak & Bailey. 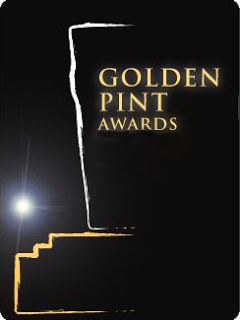 I should also give an honourable mention for Pumpclip Parade, for fighting the good fight. Far too many to choose from, so I’ll simply do a Twitter-style #ff for @MelissaCole, @BroadfordBrewer and @CAMRGB, who regularly fill my timelines with beery fun and are all Good Eggs. Also for my good colleagues @RumAndReviews – @estebansemtex, @Matt_RnR, @Stevecrotty, @generallucifer, @ruariotoole and @craigheap. BrewDog are still putting everyone else to shame. Every brewer should have a very different online presence certainly, but BrewDog’s is simply better. They blog regularly, use Twitter to actually engage with drinkers (instead of just retweeting praise *shudder*), and their employees are passionate envoys of beer geekdom. Nothing too gastronomic or abstract – just a traditional Belgian beef carbonadde flamande I made at home in the slow cooker, with the beer marinaded in Chimay Red overnight. Naturally, another bottle or two of Chimay Red were used to wash it down. So simple, but so, so tasty. Visit more breweries, meet more beer tweeters in real life and drink a lot more beer from Belgium and Italy. Let’s face it, there have been a lot of contenders this year. For me, it has to be the misguided but enthusiastic efforts of the people doing PR for St Stephanus, who proudly and breathlessly lauded its completely unique selling point: that it undergoes a secondary fermentation in the bottle. Whoops. Next Next post: Gentlemen, to Science™!